Great news to photo enthusiasts. 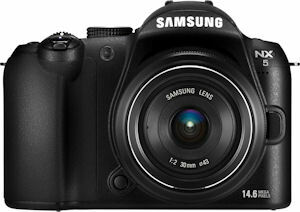 Samsung Germany has announced its new NX5 digital camera, a lower costing alternative to the existing NX10 model. Being more affordable than the NX10 however does not compromise its features and performance. The NX5 comes in a compact form factor and features a 14.6-megapixel of high def pictures. It has a APS-C CMOS sensor and features an electronic viewfinder with interchangeable lens support. It also has a nice 3″ TFT LCD display which makes it easier to take pictures when compared with the AMOLED display found on the NX10. It is available only in black color and will retail for about 699 Euros. 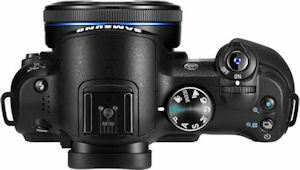 The Samsung NX5 targets new talent that wants to have a quick start in high def photography on a budget. No further information was released, but the wait is over.